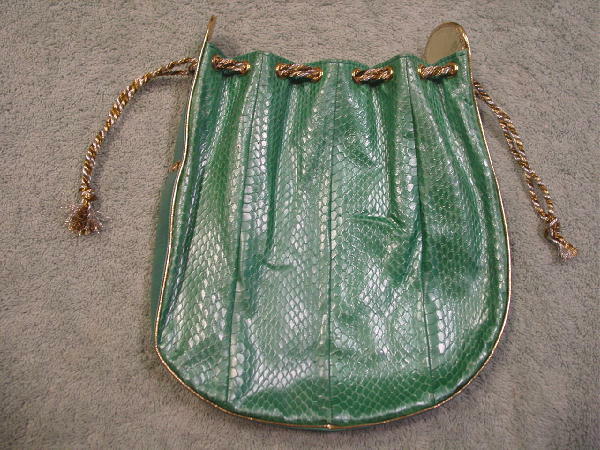 This vintage snakeskin purse was made in France and is by Charles Jourdan Paris. 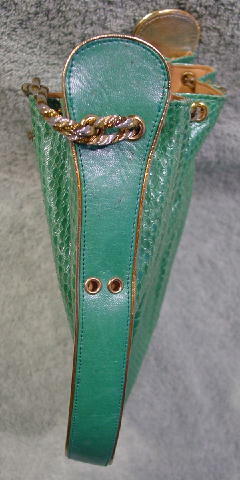 The snakeskin is in a pearlized dark seafoam. 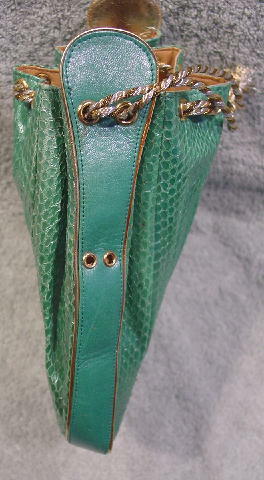 The sides are in leather with gold-tone edging and they extend 1" above the top. The upper side interiors are in gold lame, and each leather side also has two gold-tone rivet openings. Each side also has two smaller open rivets that are 2 1/8" below the upper ones. 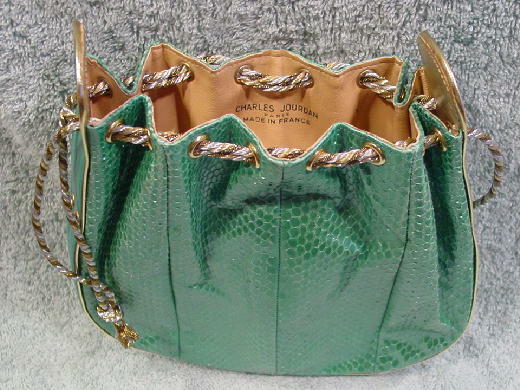 The top has eight gold-tone rivets on each side with two metallic cords in silver, gold, and black-speckled gold. 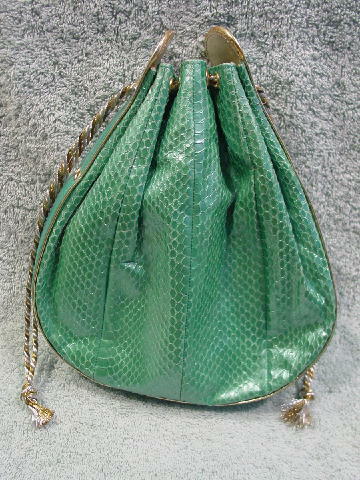 When the purse is open, the drawstrings hang downward 5 1/2". The interior is in a light camel-tan leather. The leather side strip on the right side has a few dark and light tiny spots and the other leather side has a gold line mark below the upper rivet, a light gold dot about 1" below the lower rivet, and a line mark. We don't think they detract from its appearance. 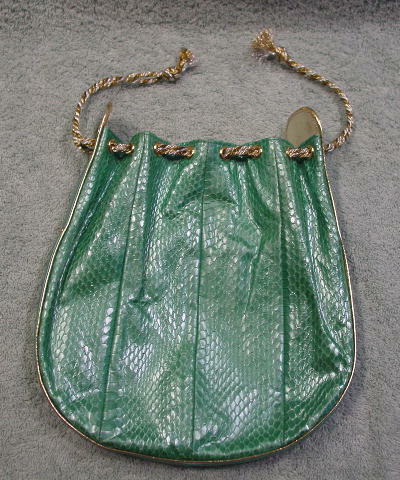 It can be worn either in the daytime or the evening. It's from a former French actress.